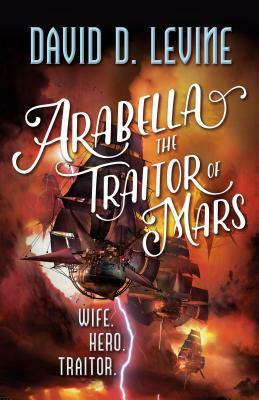 From David D. Levine comes Arabella the Traitor of Mars, the newest book in the Adventures of Arabella Ashby series. The tyrant, Napoleon, has been defeated with Arabella and the crew of the Diana leading the final charge. But, victory has come at a tremendous cost. Britain’s savior, Lord Nelson, has not survived the final battle and the good people of the Diana must now return to London as both heroes and pallbearers. David D. Levine is the author of novel Arabella of Mars (Tor 2016) and over fifty science fiction and fantasy stories. His story "Tk'Tk'Tk"won the Hugo Award in 2006, and he has been shortlisted for awards including the Hugo, Nebula, Campbell, and Sturgeon. His stories have appeared in Asimov's, Analog, F&SF, numerous Year's Best anthologies, and his award-winning collection Space Magic. He lives in a hundred-year-old bungalow in Portland, Oregon.